Ahhhh, it’s almost time for one of my favorite holidays… Thanksgiving! 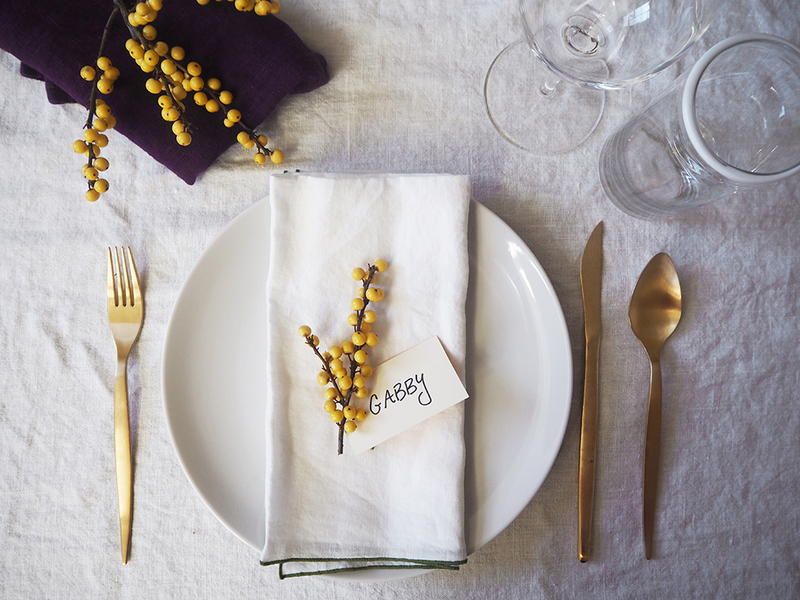 Being that Thanksgiving is usually celebrated at home with family, I think that many of us don’t put in as much thought to the table setting as we might for other holidays or events. 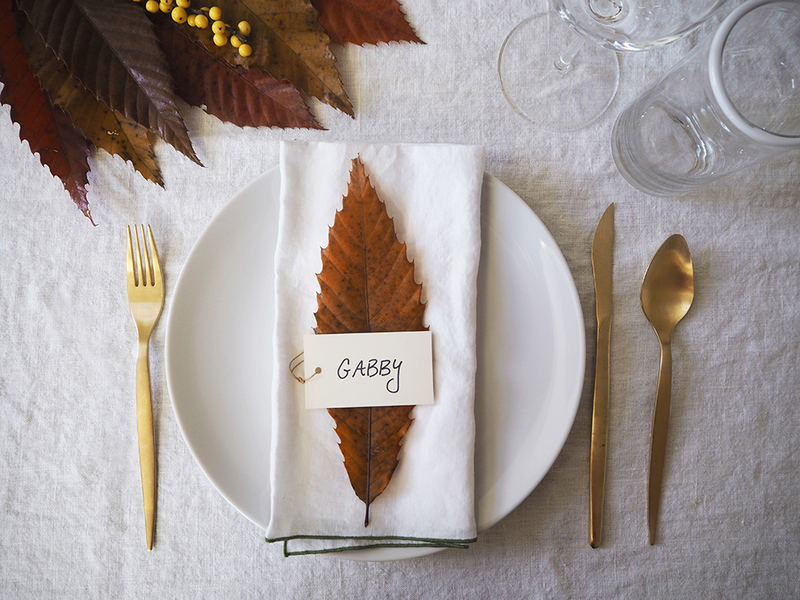 I still like to put a little something on my table to make it festive and sometimes when I have my “Friendsgiving” I also include name cards for everyone. So if decorating your table is maybe the last on your mind this week (and believe me I get it), then definitely check out today’s post where I am sharing 5 beyond easy ways to add some serious style to an otherwise simple table. Also each of these options is super inexpensive too! 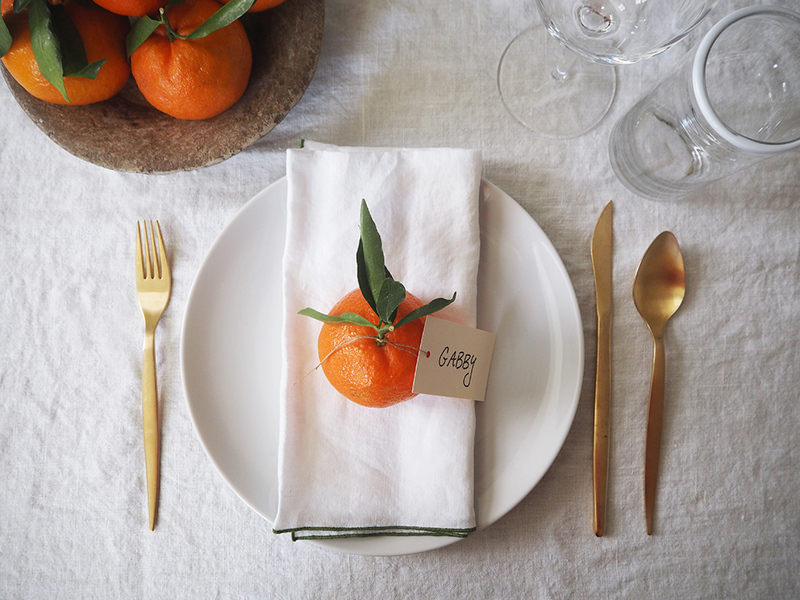 Clementines are a staple during the Autumn months and so I love to include them on the table. They bring a perfect pop of color and also look so beautiful on a setting. They are also a bargain, I bought 6 at the market for £1.50 or you can get an entire crate of them in most super markets. Tip: look for clementines with the green leaves, they are extra lovely. I always go on about how much I love eucalyptus. It is such an amazing green that always looks amazing on its own. Also, this time of year they have several shades of it. 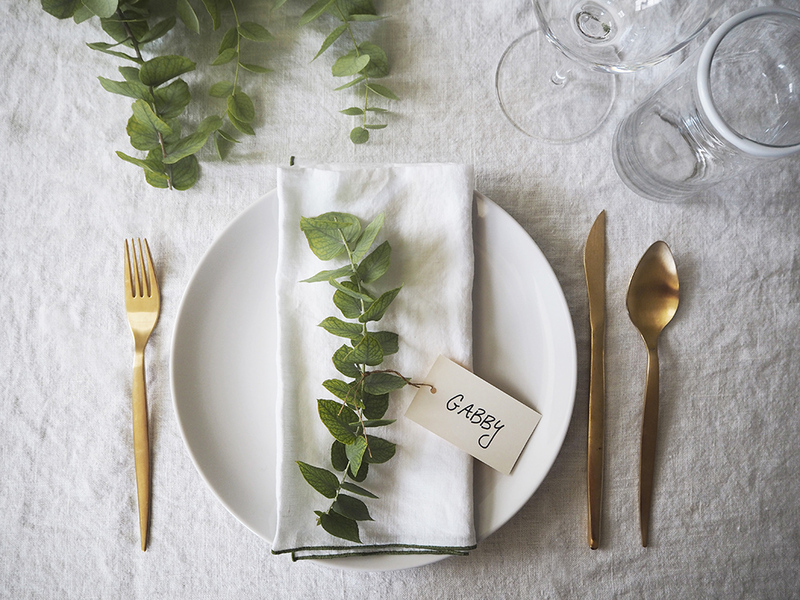 Use this (or any simple greenery) on its own for your table setting for a very chic natural table. Ok so I bought 2 huge branches of leaves for £5 but I swear I could have also just grabbed these outside in the park (I am lazy ok). 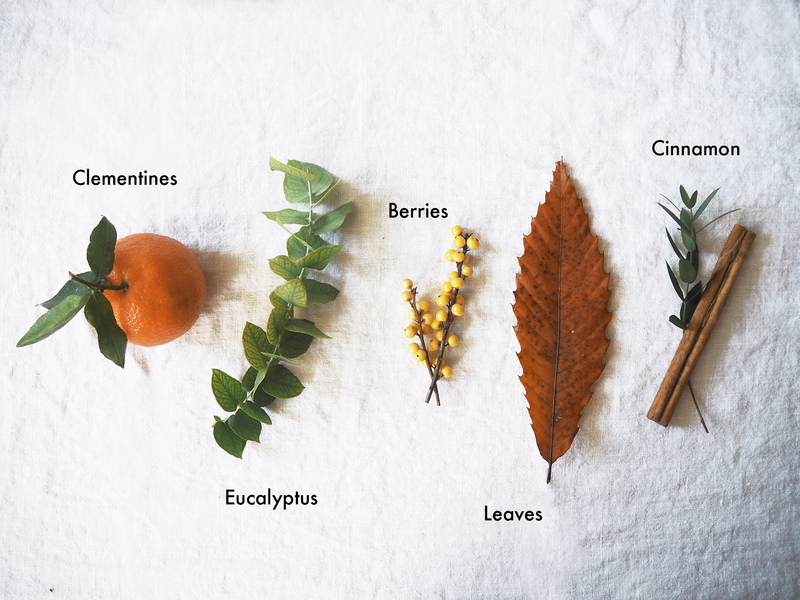 To me, this is the epitome of Fall and nothing looks better on a Thanksgiving table then some colorful leaves. Cinnamon is another festive piece for this time of year. I especially love it combined with deep greens or oranges. The good news: you probably already have some in your house! Such great ideas. I really love the cinnamon too. 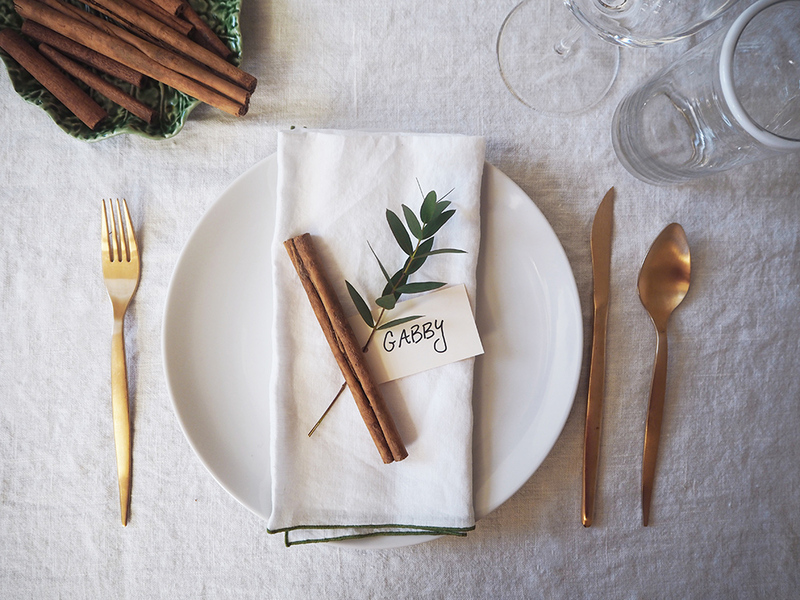 Yes the cinnamon is one of my favorite things to decorate with during the holidays!